MASS Insurance Agency is your #1 Source for Auto, Life, Home & Commercial Business Insurance in Massachusetts including antique car insurance,truck insurance, car insurance, commercial car/truck insurance, home based business insurance, apartment owners insurance, apartment renters insurance, condominium insurance, master condominium association insurance policies and homeowners insurance in Boston, Massachusetts. MASS Insurance Agency employs the most highly experienced personal and commercial insurance agents whom have undergone rigorous training to ensure meticulous analyzation of each and every customers unique needs for the proper level of coverage to safeguard against the unknown. As one of the most popular auto insurance agencies in Boston, Massachusetts we pride ourselves on finding the absolute lowest price guaranteed within 30 auto insurance companies serving the Boston area and surrounding communities. Frequently our customers wish to utilize us for their homeowners insurance in Boston MA as well and saving hundreds or thousands of dollars per year by bundling their car insurance with their home insurance policy for the best multi-policy discounts in the marketplace. 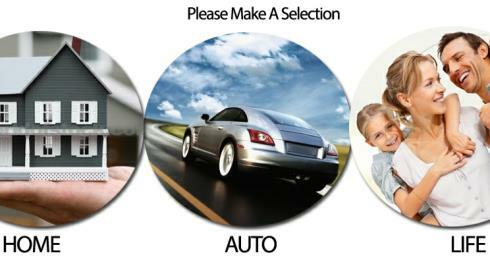 You can choose from a $500 deductible or $1000 deductible which will decrease with no accidents and car insurance claims. With a safe driving record you can eventually have car insurance with no deductible in Boston, Massachusetts. There are teen driver discounts available when your teen has taken an accredited driver's education course and we also have multi-driver discounts and family auto insurance discounts. MASS Insurance Agency provides commercial business insurance for small medium and large businesses and corporations, LLC's, S Corps as well as contractors such as plumbers, roofers, general contractors, fence contractors, chimney companies, septic contractors, kitchen & bathroom remodelers, siding companies, HVAC (Heating, Ventilation & Air Conditioning Contractors), Doctors, Lawyers, Dentists, Gift Shops, Retail & Convenience Stores, Grocery Stores, Malls, Strip Malls, Large Commercial Office Buildings, IT Technology/Software Companies, Manufacturing Facilities, Wholesale Companies, Internet Based Businesses, Party & Equipment Rentals Companies, Car Dealerships and Garages, Auto Repair Shops, Restaurants, Bars, Pubs, Food Service, Real Estate Companies, Realtors, Real Estate Agents, Hotel Insurance, Motel Insurance, Landscape Contractors, Excavation Companies, Tree Service, Floor & Carpet Laying, Limousine Companies, Electricians, Sewer & Water Contractors, Asbestos Abatement, Basement Waterproofing & Mold Remediation Companies, Refrigeration Contractors, Masonry, Home Improvement, Swimming Pool Contractors, Agriculture, Banking, Aerospace, Aircraft, Broadcasting, Brokerage, Biotechnology Companies, Chemical, Cosmetics, Department Stores, Health Care, Publishing and many other types of businesses utilize MASS Insurance Agency for all their Commercial Business Insurance needs in Boston, Massachusetts. Call MASS Insurance Agency for a free phone consultation and insurance comparison in Boston, Massachusetts for the lowest possible rate on personal and commercial lines of insurance in the Commonwealth of Massachusetts today! Commercial Property Insurance & Commercial Liability Insurance in combination with Workers Compensation and Disability Insurance are the foundation of a good insurance strategy for any business in Boston, Massachusetts and we can accommodate any specialty needs of any type of business, large or small. Our expert insurance analysts are standing by awaiting your call to give you the best customer service experience an insurance agency in Boston MA can offer you! MASS insurance Agency offers the cheapest, most affordable Car Insurance in Boston, Massachusetts with multi-policy discounts when you bundle auto insurance with homeowners insurance and/or whole life or term life insurance. Cheapest & Best Insurance Coverage in Boston MA... We Work For You Now! We Shop 30 Insurance Companies in Boston MA For Your Lowest Rate!